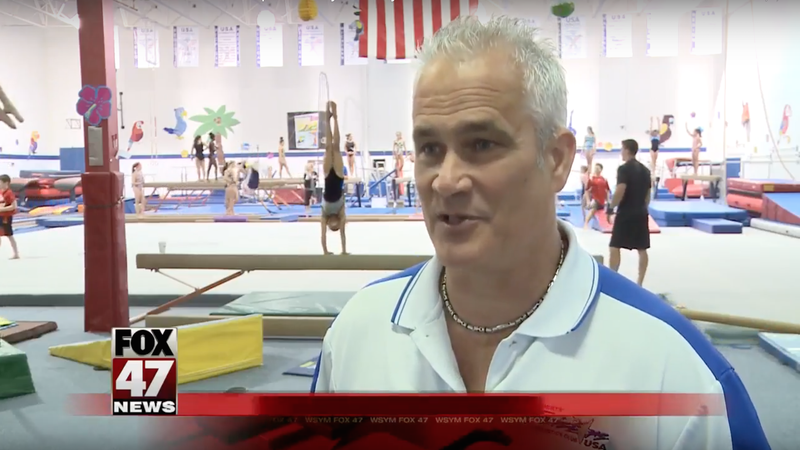 John Geddert—the owner of Twistars USA Gymnastics Club in Lansing, Mich., who has been called out numerous times during the Larry Nassar sentencing hearing for his own abusive behavior toward gymnasts—sent an email signed by him and his wife saying he was retiring, the Lansing State Journal reported today. It comes less than 24 hour after USA Gymnastics announced that Geddert was suspended. I know I am not perfect. Like all our coaches, I am deeply committed to protecting the safety and well-being of our students. I know my shortcomings as a coach: I have high expectations and high standards and I am passionate about coaching our gymnasts to realize their full potential. Sometimes the intensity is challenging—both for our gymnasts and their coaches. We have worked here at Twistars to make sure safety and the overall well-being of our athletes is our No. 1 priority. In fact, we were among the first members to certify all of our competitive team staff with Safe Sport. As for the suspension by USA Gymnastics, Geddert wrote, “We will fight these allegations at the appropriate time and place.” But he said that time isn’t now because he didn’t want to “distract and detract from the victims’ statements.” At no point does he address that several of those victims he claims to support also have been the people speaking out about him. The full email, as posted online by the State Journal, is below.